The Arizona Technology Council’s Women in the Workforce series is back for 2016! 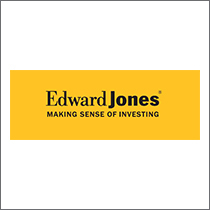 The first event of 2016 is an educational workshop geared toward the unique challenges and financial choices women face and is presented by Edward Jones. Regardless of your age or experience, you have important stories concerning your financial well-being to share with members of your family, women at work and your peers and friends. The workshop offers case studies for discussion purposes, and encourages audience participation. You’ll also gain actionable ideas and steps to help you start 2016 out right and put you on the road to financial independence. Each attendee has the choice of a salon service (manicure or pedicure) or can simply attend to learn with a light breakfast and coffee. Interested in more information? Learn more and register in advance here.